In 2017, Vade Secure reported that ransomware-infected emails rose 6,000 percent. Recent natural disasters have brought business operations down across the globe. Then there are outages that are the result of human error: Someone misconfigures something or enters the wrong command and systems go down. If you have ever worked in an organization that has been through the disruption of systems, applications, or services, then you know just how important it is to have a disaster recovery plan in place. For those responsible for putting together a disaster recovery plan, cloud services like Amazon Web Services (AWS) have made this easier. However, before creating a disaster recovery strategy, there are things you need to consider—even if you are using a solution as easy as AWS. Backing up data is an essential part of any disaster recovery plan, but it does not end there. Not by a long shot. A true disaster recovery plan will have a solution to restore data and files, but it is really about business continuity. Your plan needs to include restoring business critical services and applications, decreasing downtime, protecting your brand and reputation, and ensuring that security remains intact throughout the process. In any business process, success is determined by measurable metrics. 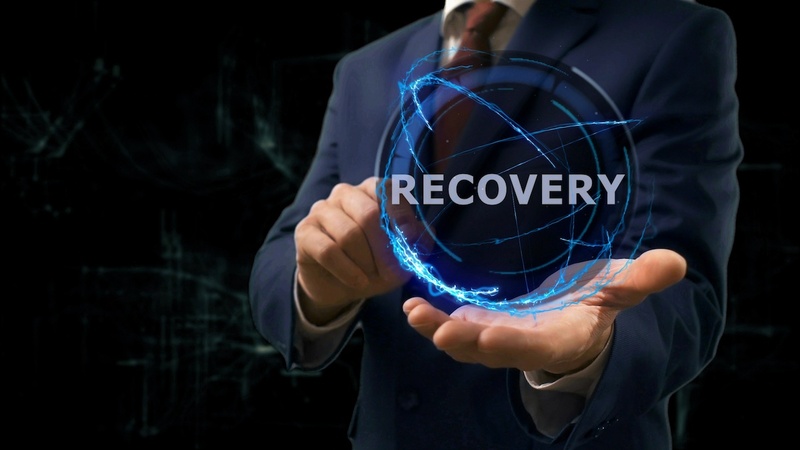 In the world of disaster recovery, there are two common metrics that organizations set for themselves, and meeting these goals often dictates the overall disaster recovery strategy. The first of the two is the Recovery Time Objective (RTO). This is the amount of time it takes you to recover business critical applications or services. If you have service-level agreements (SLAs) with customers, this can dictate the time frame of your RTO. The same can be said for anything else that would cause harm to your business due to downtime. The second metric is the Recovery Point Objective (RPO). This dictates the window of time in which data loss is acceptable. AWS provides solutions to help meet these important metrics, but these can certainly affect the costs associated with your disaster recovery plan. This is the most basic option, where you can back up data to Amazon S3 or Amazon Glacier and restore it using AWS Import/Export. You also have the option of taking snapshots of Amazon EBS volumes, Amazon RDS databases, and Amazon Redshift data warehouses. In this option, a minimal version of your environment’s most critical elements is running in the cloud. If things go down, you maintain your business critical element. You can provision a full-scale production environment from that core by making use of preconfigured Amazon Machine Images (AMIs) that you can start up when needed. In this scenario, there is a scaled-down version of your fully functional environment always running in the cloud. This is essentially a more robust form of the pilot light option because more elements are always on and at the ready. By resizing smaller capacity servers and extending other services that are scaled back but ready to run, you can get your systems up and running much more quickly. The multi-site solution runs an active-active configuration in both AWS and your existing on-premises infrastructure. If your on-site resources go down, you can adjust your DNS and send all traffic to AWS with minimal downtime. Again, your RTO and RPO may influence your decision here. When it comes to disaster recovery planning, mistakes are often made by either going too big or too small. In situations where your DR plan is too robust and outpaces your RTO and RPO, you are likely spending too much money on services that are overkill. In addition to the wasted money, there can be a great deal of wasted overhead when it comes to configuring and managing a plan that does too much. On the other side, if your plan covers too little and you fail to meet your RTO and RPO, you could fall into trouble by violating SLAs or other agreements, and may well damage your reputation to the point where you lose customers. Creating a successful disaster recovery plan takes work. If your IT staff is unsure if they are properly planning for a worst-case scenario, bring in a trusted partner who has the expertise that can help guide your staff in the right direction. Not only can they help choose the right plan, but they can help identify what needs to be included and how to best set up your disaster recovery solution in AWS for success.